Alondra Villas & Suites is located in Puerto del Carmen and offers modern, elegant and quiet accommodation 1km from the town's central beach. 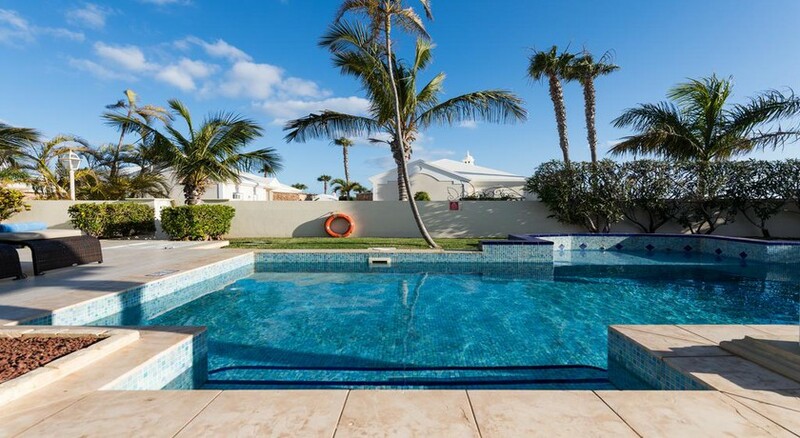 The villas, available for up to 6 people, offer a contemporary and up-to-date design, and many of them are available with their own private pool. In the living room you can enjoy TV, WiFi, heating and sofas, and the kitchens include a cooker, refrigerator, microwave, washing machine, oven and kitchenware. Alondra Villas & Suites has a garden of 500m2 where you can enjoy a pool, and guests can also treat themselves to spa services, with massages and beauty treatments. There is a 24-hour reception and a parking area, and guests can dine in the on-site restaurant. 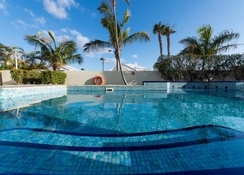 Alondra Villas & Suites is located in Puerto del Carmen, on the island of Lanzarote. This quiet coastal town has an array of beautiful beaches, such as Playa Chica or the central beach of Puerto del Carmen, located just over 1km from the establishment. In addition, the municipality has an interesting variety of restaurants, supermarkets and shops, and is located just 16km from the center of Arrecife, while Lanzarote Airport is located 11km away. The Timanfaya National Park, which is one of the main visitor attractions in Lanzarote is less than 20km from the hotel as well. Alondra Villas & Suites offers houses and villas for up to 6 people, some with a private pool. They have an elegant and cozy design, with wooden ceilings and an overall contemporary feel. They also include a kitchen with an oven, stove, refrigerator, microwave, washing machine and kitchenware, and the villas and rooms include a safe, air conditioning, ironing set, heating, WiFi and a lovely seating area with sofas and television. Guests can also book two and three bedroom bungalows as well as the villas. The Arena Restaurant offers the best of local foods with the freshest ingredients and these are all prepared under the supervision of acclaimed chef Luis León. The restaurant provides a lavish buffet breakfast and a variety of snacks throughout the day. The hotel cellar is also home to an impeccable collection of wines. You can walk to the old town in just a few minutes where you’ll find a collection of great restaurants and bars. This charming accommodation in Puerto del Carmen has a quiet 500m2 garden and also has a nice and large outdoor pool with sun terrace. Travellers can relax in the facilities thanks to the on-site spa, which offers massages and beauty treatments. 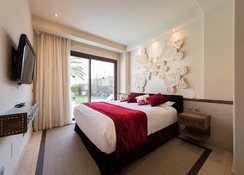 The property has a private parking area and also provides 24-hour reception with luggage storage service, ticket sales for local attractions, car rental facilities and tourist information. The property is also wheelchair accessible.